Don’t Get a Late Payment Fee! 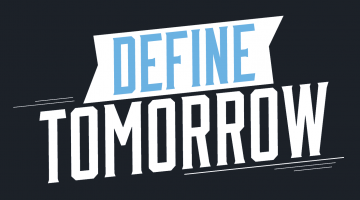 A $100 late payment fee will be assessed to balances not paid by the due date, unless you have sufficient pending and/or outstanding resources not shown on your bill. On the Anticipated Resources page, you can tell us about your pending sources such as Employer/3rd Party Payments, Athletic Scholarships, Alternative Loans, Tuition waivers/Scholarships. You will need to post them to your Anticipated Resources page on MaineStreet by the due date each semester (8/15 for Fall, 1/15 for Spring, summer courses vary based on length of course). Follow the instructions below to complete this online form. Should you have any questions, or need assistance, please call the Bursar’s Office at 207.581.1521. Outside scholarships should be reported to the Office of Student Financial Aid. For more information on reporting outside aid, visit the Office of Student Financial Aid’s Outside Private Scholarships web page. 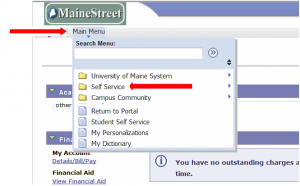 From the Self-Service folder view, click on the Campus Finances folder and then the Anticipated Resources link. On the Anticipated Resources page, the UMS Institution(s) you are enrolled at will appear listed in the Business Unit Column of the Account Information section. Click the Select button for the institution of your choice. The Balance by Term section appears on the page. Click the select button for the appropriate term in the Update Your Resources column. Note: If an institution does not allow for online updates of available resources, the Not Available button will appear in the Update Your Resources column. On the Anticipated Resources page for the institution you selected, in the Amount for Item column, enter the anticipated amounts of financial resources you will receive for the term selected. After entering all anticipated item amounts select the Enter key to update the Total Resources and Balance Due amounts at the bottom of the page. Click the Save button to save your entries. Note: if you select save, you can update this page later if your anticipated aid changes.